I’ve spent the better part of my life participating in sports at some level. Couple that with the fact that I’ve been coaching athletes of all shapes and sizes for the last 15 years, and I think I’ve got a good perspective on athletic development as a whole. In this article, I want to not only talk about the common issues I see in athletic development, but provide ways we, as an industry, can step our game up. Nothing pains me more than to see a young athlete that is broken down, beat-up, or flat out tired of playing their sport because a coach has failed them. It happened to me as a young athlete, and I’ve made it a goal in my life to never allow that to happen to one of my athletes. With that being said, here are six issues I’m seeing in athletic development today. Kids don’t move like they did a decade ago, let alone two decades ago. They sit more, they’re more sedentary, their diet is worse, they play less, and they’re more stressed out. Now we could get into a massive debate as to why all this is going on, but that’s a different story. Instead, let’s focus on where that leaves us. These days it’s not uncommon for me to work with a young athlete that has no clue how to perform basic movements such as jumping jacks, bear crawls, or even something as rudimentary as skipping. I tell you what – I can’t tell you how many young athletes these days can’t skip. But they’re on the travel soccer team at age 7, so everything is cool. Right? They started playing one sport early-on, and have been convinced if they want to be the best they need to specialize in that sport ASAP. (And if you want some feedback on why that’s dumb, read this). They play less when they are young. I hate sounding like an old man, but remember when you just went out and played? With your friends? In the neighborhood? By yourself? I grew up in the country, so if I wanted to do something I’d go outside and shoot hoops, hit baseballs off the tee, or hit a tennis ball against the barn door (yes, I’m country). Last but not least, a gym class where they actually learned sports skills and then played those sports. Today is seems as though gym class is like any other class. Kids sit around learning about the rules of a sport and taking tests on it, but never really participate or do anything active. So there are obviously a ton of issues here, all of which we’ve discussed in some form or fashion before. But rather than bitching and moaning about it, let’s discuss what you can do as a coach to fix the issue. With young athletes, teach them how to move and play. I haven’t figured out the business side of this yet, but I would love to have a legit athletic development program at IFAST for young kids. Kids that are too young to really get into the ins and outs of strength training, but that need to start developing as athletes. When we have young kids come in in the summer (often tagging along with mom or dad for a training session), we do a lot of basic movements to teach them basic athleticism. The goal is to fill in the void that the modern day gym class has left us with. From there, their workout may be as simple as balancing on one leg and touching a cone, or playing tag with their brother or sister. The key is to get them moving, and to help them feel and understand their body. Once they’ve got a basic movement foundation, then you can start doing the stuff we know how to do in the gym. It doesn’t have to be (and shouldn’t be!) one rep maxes and limit lifts, but teaching them all the basic movement patterns they have available to them. If you do nothing else but let the young kids play, and then help the older kids develop the basic movement patterns with light loads or even body weight, you’ve immediately got a program that’s better than 95% of what’s out there today. We’ve all seen it, right? We’ve seen it when everyone from the professional sports team to little Johnny’s soccer team has run a lap, then circled up to go through a 15-minute static stretching routine. I mean seriously, have we not moved past this yet? There’s no regard for getting into an optimal joint position. There’s no regard for going through small, and then progressively bigger ranges of motion. There’s no regard for basic physiology, such as moving around and actually getting warmed up to prime the nervous system. Archaic may be putting it nicely! A smart warm-up is one part physiology, and one part biomechanics. On the physiology side, we can’t forget the words warm-up. In other words get the tissues warm, get the body moving, lubricate those joints, and prime the nervous system for the training session ahead. And this can be as low-level or high-level as you want. The old-school standards like jumping rope, jumping jacks, light jogging, or any kind of calisthenic could at least cover the basics. Which leads us to the biomechanical side. A well-designed warm-up will take all the things we know about biomechanics, and merge them into a seamless and integrated warm-up. Get neutrality through the big joints, especially the sphenoid, sternum and pelvis. Get appropriate ranges of motion through the ankles, hips, t-spine and shoulders. Turn on those stabilizers and get them ready to do their work. If you want a go-to resource on this one, be sure to check out my Warm-Up article right here at RTS. Not only do I go through all the ins-and-outs, but I even provide a sample warm-up for free. 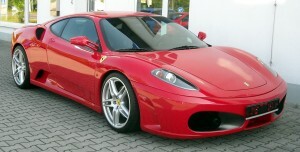 Most people would like to drive a Ferrari. Right? And let’s not get caught up in just how you got the Ferrari – just play along with me for a second. If you’re driving a Ferrari, of course it looks cool and make you feel good about yourself. But there’s a natural inclination to step on the gas and test that sucker out. So what if I told you that the acceleration was dialed in and ready to rock, but no one had tested the brakes. And that there was a slight chance they weren’t working as well as expected? That would be a problem, right? It’s not uncommon for kids these days to go to speed schools and vertical jump academies, yet they’ve never been taught the basics of deceleration first. Quite simply, we’re giving them a bigger engine without ever testing the brakes! Upper body declerative work (via med ball throwing/catching or progressions). But the goal here isn’t simply to test the brakes – it’s also to teach athletes the best and most appropriate postures to power out of those positions later on. Balance and weight distribution on landing. My good friend Lee Taft has often said that agility work or multi-directional speed doesn’t happen until you re-accelerate, or explode out of that cut. And I couldn’t agree more. However, if you have an athlete that doesn’t move particularly well, or doesn’t understand where their body is in space, start by giving them a better understanding of how to decelerate first. With all of the information out there on the Internet today, it’s shocking to me how bad some strength training programs are. Whether it’s three times per week benching for soccer players, programs that never train the back side of the body, or programs that never think about hitting the core, there are still a lot of really, really bad programs out there. The bodybuilding-split sans legs (because I “trained” them in my sports). Coaches who are still clinging to the program they used in high school to get big and strong (i.e. baseball players who are cleaning, squatting and benching). The first solution here is to remember that we are building athletes. Minimize or reduce the likelihood of injury while strength training. This counts for both time in the gym, as well as time playing their sport. When you look at it in this light, it gives you new-found clarity as to why certain exercises should be in most programs. I love front squats because they develop the hips, thighs, and anterior core. I also love trap bar deadlifts. You don’t need gobs of mobility, it develops the glutes and hamstrings, and it’s easy to coach. The bottom line is to understand what our athletes need to stay healthy and perform at the highest level, and then use those exercises within our training programs. It’s not about choosing our pet exercises, or the exercises that help us achieve our goals. It’s about choosing the exercises that are the best fit for the athletes we are coaching and training. This is one I cannot, and will not, let go. Let’s start withe basics first. There is no such thing as “perfect” technique. Even the best powerlifters and Olympic lifters in the world, people that have honed and refined their craft for years, know that technique can always be improved. But somewhere off to the far left hand side is the dreaded “unacceptable” portion, and that, we simply cannot allow. So the next question becomes, if an athlete is lifting with unacceptable technique, why are they doing that? The coach isn’t actually coaching them, or can’t get them to reproduce quality technique. Let’s look at all of the solutions here. If an athlete can’t get into the appropriate posture or position to perform an exercise, that exercise isn’t a good fit for them at this point in time. So try altering the range of motion first. If shortening it up doesn’t tighten up technique, consider regressing the exercise. (And obviously, you should be addressing the underlying movement limitation as well). Now if the coach doesn’t know what good technique looks like, that’s a whole ‘nother can of worms. I would like to think that most coaches know what good technique looks like, but if they are young (or haven’t been in high-quality training environments) then this may be an issue. The solution in this case is to keep watching and learning. I think my view of “good technique” has evolved exponentially over the years, just as I’ve watched more and more people lift. Last but not least, we come to the issue of coaches not coaching, or being unable to get their client into appropriate positions. If you’re just lazy and not coaching, get out. Please. We really don’t need someone who is unwilling, or unable, to work. But if you can’t get them in the right position, a big part of this is just time in the trenches. After you’ve worked with enough people you build up an arsenal of coaching cues for any expected outcome, and you simply start throwing those out there until the client gets into the right position. However, if you’re a young coach, understand that this takes time. 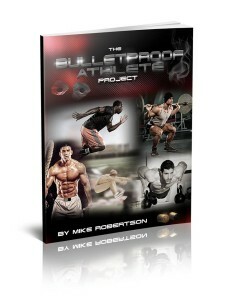 This is also where tools like the Elite Training Mentorship, or even my Bulletproof Athlete product come into play. In both of these environments, you have me coaching and cuing our favorite exercises. Quite simply, there’s no better way to learn how to coach or cue than to watch someone coach and cue an exercise! At the end of the day, you probably wouldn’t be reading this if you weren’t passionate about helping athletes move and feel better. All that I would ask is that you continue to tweak and refine your game. I’m constantly challenging myself to get tighter and more succinct with my cuing, and I feel it’s time well spent as my athletes continue to get better results. While it’s hard to say that one issue I see is more egregious than the rest, this one might take the cake. Far too often, I see athletes that are either doing too much conditioning, or consistently doing the wrong type of conditioning based on their needs and goals. 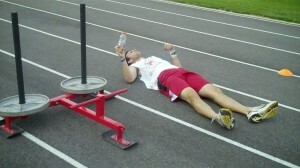 Case and point: Whether it’s due to the fat loss sector of the fitness community, a slew of coaches who consider this current generation of athletes to be “unfit” or “soft,” or a flat-out misunderstanding of basic human physiology, I’m tired of seeing kids put through the ringer when it comes to conditioning. The coaches who are in the “beat ’em up camp tend to believe that more work, and/or hard work, is always better. What they fail to understand is that many athletes don’t have the aerobic foundation to support the high intensity training. And therein lies another issue – most coaches hear the word “aerobic” nowadays and it conjures up images of marathon runners. In fact, I would argue that many of the best soccer, football and basketball players in the world, also have some of the most robust aerobic engines. Obviously each and every athlete is different, but the aerobic system is not something to be shamed or looked down upon. If we want to get better about this, it starts with the education side first. But that time and place is after you’ve taken the time to develop an aerobic base via lower intensity methods. (If you need a primer, read this: You NEED Long Duration, Low Intensity Cardio). Even with my elite athletes, I’ll often take the first month of their training and focus it towards accumulating training volume, and re-building their aerobic base. 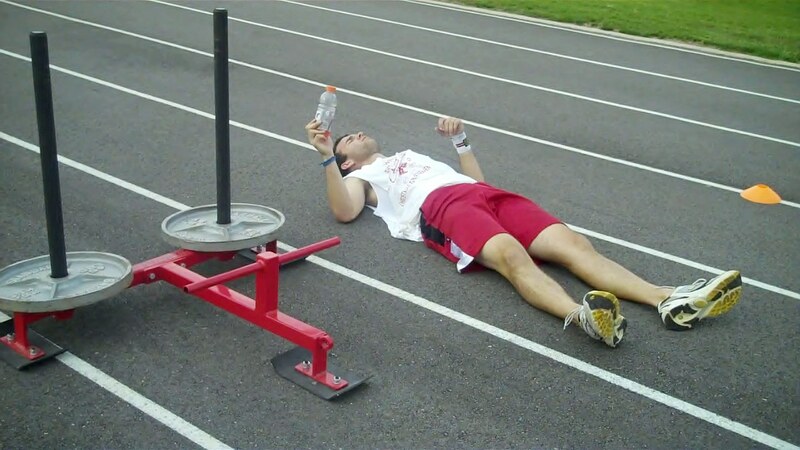 Furthermore, the year-round high-intensity training is actually harming the athletes not only from a conditioning perspective, but with regards to their autonomic nervous system as well. 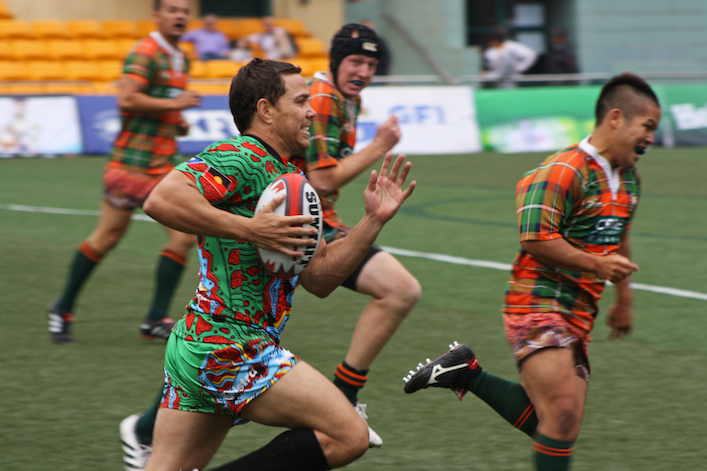 Now we’re not only dealing with poorly conditioned athletes, but athletes that are more stressed out and anxious in a game or match. They’re locked into sympathetic overdrive, constantly trying to ward off the “fight-or-flight” mentality. How do you think that’s going to work out for them when the pressure is on in a big game or match? Think of high-intensity training as the cherry on top of an amazing ice cream sundae. By itself, it doesn’t really do a whole lot for you. But if you’ve laid the foundation with the low intensity methods (i.e. the ice cream, the chocolate syrup, and the whip cream) then you have the potential to make an amazing sundae. I could obviously go on and on about this, but hopefully I’ve given you food for thought. If you work with or train athletes, please do everything in your power to continue to educate yourself and refine your game. The longer I do this, the more passionate I become. I love helping athletes get better at their respective sports. I hope that you will share my passion, and take this to your own coaching. Good luck! What’s wrong with a program for baseball players that includes squat, clean, and bench? I don’t think what Mike is saying is that there is anything wrong with the squat, clean or bench. Rather, having a program that only consists of these exercises and is the same for everyone, is not the best of ideas. Everyone should have their own training program that is customized to their individual needs. Also, Baseball players usually have a lot to work on with regards to posture/ asymmetry / hyper mobility at the shoulder and elbow. Hitting the big exercises really heavy before some of these issues are under control might not be advisable. Exactly. Even if you’re strapped as a coach and have to write EVERYONE’s program, there has to be some variability based on individual needs. John – Agree with those who chimed in below – it’s risk to reward. If the kid has no chance of moving on and playing at the next level, probably not a bad program. But if they have a chance at playing at the next level, you have to choose exercises that not only improve performance, but also keep them healthy and as injury-free as possible over the long-term. Great article Mike. Just one question – how can you get neutrality in the sphenoid joint – is that a typo? Hahah I was wondering the same. Was about to comment but I guess you beat me to it..
Side note: I’m not qualified to do this, but others are…. I agree with a lot of what Mike is saying. I do think Mike needs to come in and observe the Physiclal Education that I and others teach. Physical Eduacation is no longer taught the way he is describing it. The way he is describing it is from the 1980’s. I think it depends where you are looking. I’ve seen this over and over — the old-school warmups, sitting around talking so much that there’s no time to actually play, etc. I think he got it right. The ones that you are teaching are lucky! Will – Thanks for chiming in. I grew up in the 80’s/90’s, so I think I have a fair idea of gym class in those times. When I was a substitute teacher, things had changed vastly (~10 years later). Not to mention the fact that you seem on top of your game, while many teachers and programs aren’t necessarily up to snuff like you. Please don’t take anything personally – chances are if you’re here, you’re serious about getting better and making a positive impact. I respect that more than you know. Great Article – Great Content! NOT sure how much experience you have with High School or College Wrestlers. However, I know our community has incredible drive and work ethic yet our tendencies are to “Over Train” BIG TIME! What are your thoughts on Planning Better More Effective Training Cycles for Wrestlers. And we probably need to do Less to get BIGGER & BETTER Results. I’d Love to hear from your perspective and expertise…. Keep Crushing it Coach You’re a BEAST! I’m sure Mike might have a different approach, but when I worked with wrestlers there was definitely a tendency to overwork. They are non-stop athletes. My approach was to focus on major multi-joint exercises (squats, deadlift, etc), take care of prehab & corrective exercise (due to unique needs and hypermobility similar to baseball player’s shoulders, etc), & focus on conditioning them in the specific ways they need. If it doesn’t have a clear purpose in the program, take it out. I’d Love to get more from any of the Pro’s out there who have worked with Wrestlers currently or in the past. Anything you need, just send me a message & I’ll be happy to help if I can. If you haven’t already, pick up a copy of Joel Jamieson’s “Ultimate MMA Conditioning” book. It’s one of my Top 5 books EVER in our industry. In there, Joel not only gives you all the tools, but plays out sample plans as well. Trust me, there is a time and a place to go balls out – it’s jut not year round. Just got smarter by reading this article, even though I don’t train athletes. Great job Mike. You could write a book on this stuff. Hint. Hint. Great Article Mike. On point as always. Thanks! The reading list is getting long, but I’ll definitely try and check it out. Thanks!